What do the color stain finishing options on the bed frames look like? 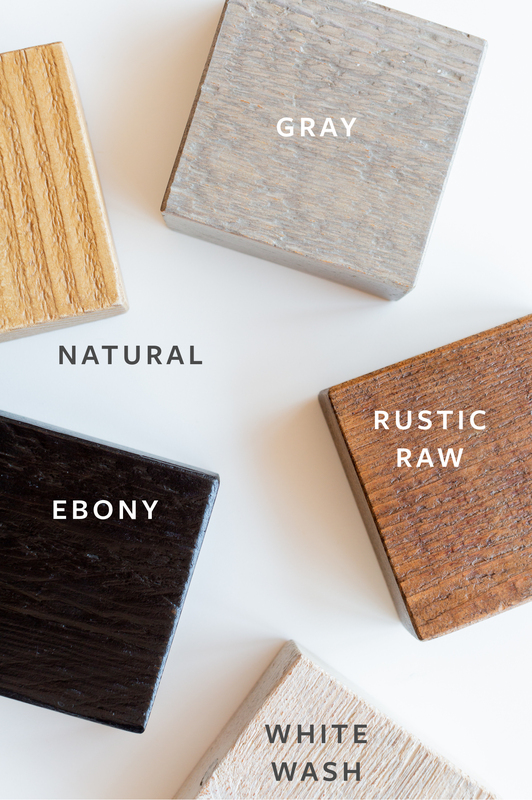 Wood samples show how the raw finish and color stains appear. Our reclaimed Natural Wood Bed Frames can be finished in one of five spectacular water-based, zero-VOC finishes. As you would expect from Avocado, these finishes are non-toxic, have no traditional paint or polyurethane odor, and contain no solvents (such as Formaldehyde and Toluene) to off-gas into the air.